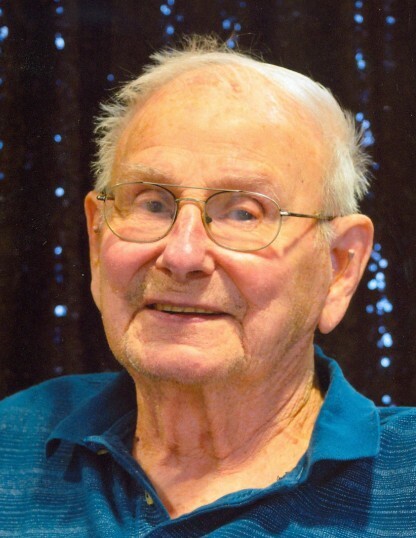 Lowell Kolbe, 92, of Breckenridge, MN, formerly of Wahpeton, ND, passed away on Monday, March 25, 2019 at CHI St. Francis Nursing home in Breckenridge. Arrangements are pending with Vertin-Munson Funeral Home at this time. Lowell Kolbe was born on March 5, 1927 to William and Saraphine (Welsand) Kolbe in Los Angeles, CA. He and his family moved to several places eventually settling in Fairmount, ND. Lowell excelled in basketball and football, graduating with the class of 1944. After high school, Lowell enlisted in the U.S. Navy where he served as a Seabee in the Pacific Theater. After being honorably discharged, Lowell returned and worked for the Great Northern and Burlington Northern Railroad, retiring in 1989. On August 4, 1951, Lowell was united in marriage to Verla Frank at St. Adalbert’s Catholic Church in Wahpeton, ND. The couple lived in Wahpeton where they raised their five children and spent many summers at Otter Tail Lake, MN. Verla passed away on February 26, 2016. Lowell enjoyed fishing, spending time at the lake, and taking frequent drives to see the countryside. Lowell is survived by his five children, Ken (Barb) Kolbe, Hudson, WI, Ron (Heidi) Kolbe, Soda Springs, CA, Karen (Mike) Mueller, Melrose, MN, Jim (Jennifer) Kolbe, Wahpeton, ND, and Carol (Curt) Hibl, Horace, ND; five grandchildren, Kasper Kolbe, Kayla Kolbe, Brian Kolbe, Matt Kolbe, and Lisa Sabyan; four great-grandchildren, Noam Pearson, Logan Kolbe, Evan Sabyan, and Emmett Sabyan; and his sister, Vera Gilles. He was preceded in death by his wife, Verla Kolbe; and his siblings, Harold, Norman, Viola, and Vivian.